Pickle Guys (49 Essex St) – this place has been around since I was a little kid. I loved running around the corner and picking a freshly pickled pickle from one of the giant vats. They have salty or garlicky or spicy and the owners are so friendly! Murray’s Cheese Shop (254 Bleecker St) – so much cheese and they have their famous cave for aging the cheeses. You can get soft cheese, bleu cheese, French cheese, Spanish cheese, all kinds of cheese! Papabubble (380 Broome St) – the handmade hard candies here are the perfect gift. You can go and watch them make their amazing candies in the shop. The fruit mix comes with little candies with pictures of fruit on them; they are so intricate! Despana (408 Broome St) – food from Spain. Jamon and chorizo and marcona almonds and all of the things you need to have the perfect tapas party. The attached wine store also has a great selection of Spanish wines. Absolute Bagels (2788 Broadway) – best bagels ever! Soft but crispy, these bagels are quintessentially NY. Kee’s Chocolates (80 Thompson St) – there are lots of chocolate shops in NYC but this is my favorite. They have a very unassuming little shop and dozens of interesting flavors. My favorites are the black sesame and the pistachio. 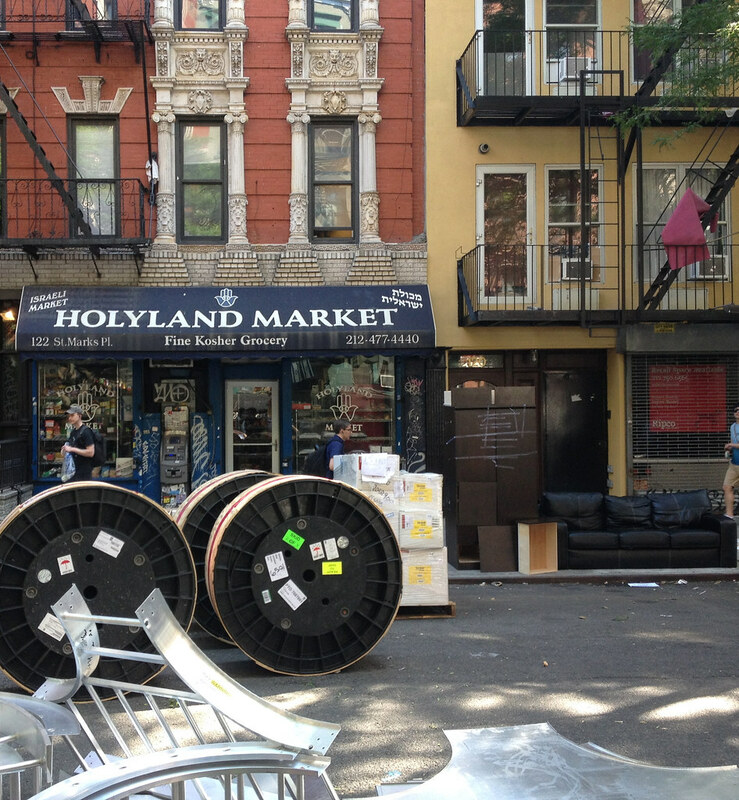 Holyland Market (122 St Marks Pl) – this is basically an Israeli grocery store transplanted to NYC. You can get tahini and halva(!!!) and burekas and loads of other Israeli goods.